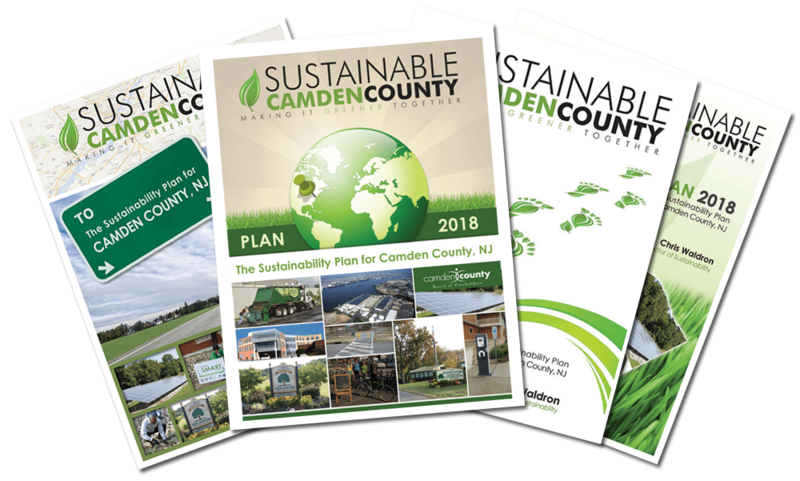 Sustainable Camden County - Creative Communications and Graphics, Inc.
We act quickly: The Camden County Government needed a sustainability book designed and a new website created. CCandG responded quickly to provide them with branding and development that was consistent throughout. Additionally, we provide the hosting and maintenance of the website. The site was set up to be flexible and easily updated by the staff at Camden County. The have the ability to update events, sustainability champions, navigation and more. 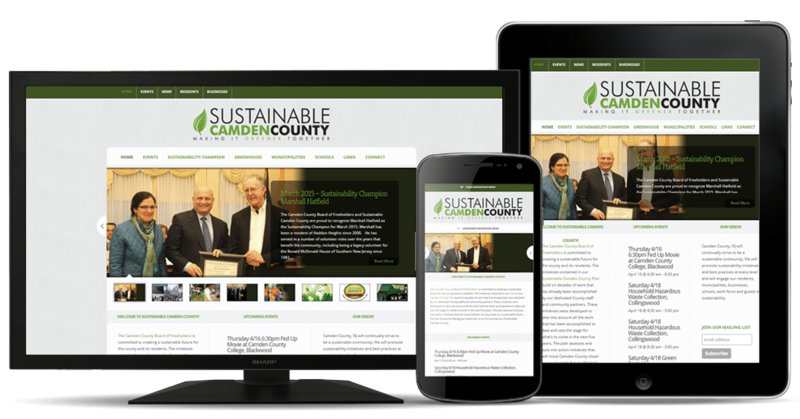 Before CCandG even started the website, we were tasked with creating the Camden County Sustainable Report. This was a 42 page document outlining the county’s plans to become greener and more sustainable. After providing various cover options, CCandG worked closely with the sustainable division of Camden County to provide a final report that was both informative and engaging.